FTK Social Club Upcoming Events – Feb./Mar. FTK’s February Mixer is the perfect opportunity to learn more about what we do (#ForTheKids), why we support Walk With Sally and how you can help directly support kids impacted by cancer. 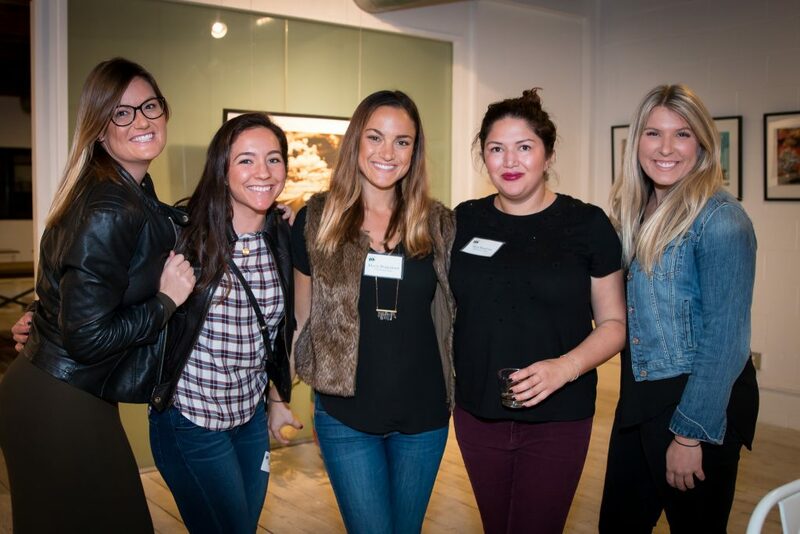 This mixer will offer ways you can volunteer, exciting upcoming events to attend and different opportunities to collaborate with inspired minds throughout the Los Angeles area. FTK Event Attendees Jenna and Rachael with FTK Board Members Marlo, Sera and Katy. Get Inspired! We are excited to welcome guest speaker Aaron Woodman. Aaron has helped develop technology start ups, mentor small and large business owners, and developed strategic growth plans in foreign countries. His innovative approach and understanding of Real Estate, Business, Technology, and Networking, make him highly sought after as both a lecturer, writer, mentor, and coach. He will be sharing his passion, inspiration and why he strives to meet 100 new people a day! Walk With Sally’s Friendship Bowl is taking place on Saturday, March 10th at PV Bowl! FTK Social Club is on a serious mission to help Walk With Sally #Bowlfor28 at this year’s Friendship Bowl. We’re asking you to help us fund mentorships, or “friendships,” for children who have family members battling cancer. These kids need the emotional support and guidance of a mentor, and Walk With Sally is an amazing organization that provides them. The goal of all teams is to fund 28 new friendships! This entry was posted in FTK and tagged 2018, Aaron Woodman, For The Kids, Friendship Bowl, FTK Social Club, RSVP Here.